Certified Organic and High Density Nutrition! This fine, white yellow powder is loaded with antioxidants and has a high source of vitamins and minerals like manganese, potassium, copper and magnesium — all of the ingredients that super-fuel your life! Ginger comes from the rhizome, which is the underground a part of the stem of the plant. Ginger has been used for thousands of years and has a long history of use in cooking and quite a lot of forms of medicine to promote health. 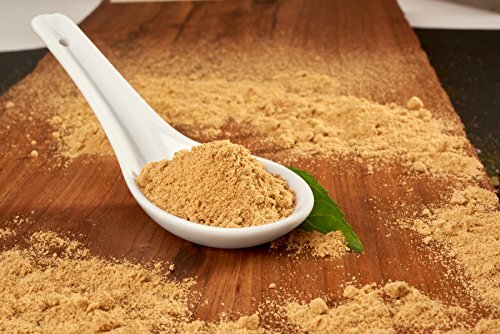 Our Organic Ginger Powder is hand selected from small, organic sustainable farmers to provide a in point of fact exquisite powder to your front door. It is dried at low temperatures after being harvested and then carefully milled into fine powder. This process retains the high nutritional value and allows for maximum digestion and absorption when consumed. Ginger is a regularly used spice in cooking as it compliments both savory and sweet dishes from everywhere in the world. It creates great warmth and flavor when you add it to your favorite meals and drinks. 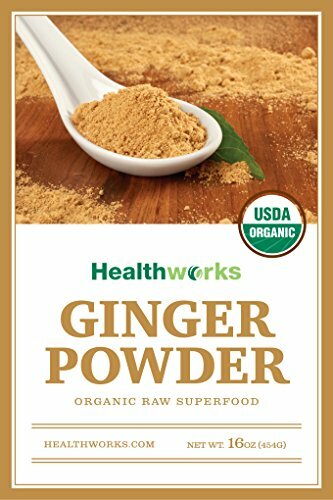 Our Healthworks 100% USDA Certified Organic Ginger powder is raw, pure, all-natural, vegan, gluten-free, non-irradiated, and non-GMO, making it a great addition to any way of life. Healthy and delicious – add Ginger powder to your diet and reap the benefits! 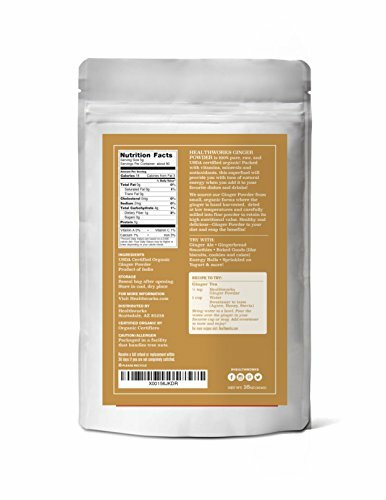 Certified Organic and High Density Nutrition! This fine, white yellow powder is loaded with antioxidants and has a high source of vitamins and minerals like manganese, potassium, copper and magnesium — the entire ingredients that super-fuel your life!